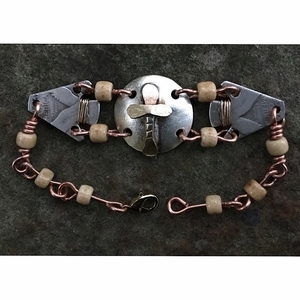 Free Form silver with hand made cross from brass, silver Standing Liberty quarters cut arrowhead and wrapped in gold, copper wire and bone beads. Approximately 7.5 inches long. This awesome piece is handmade in the USA.